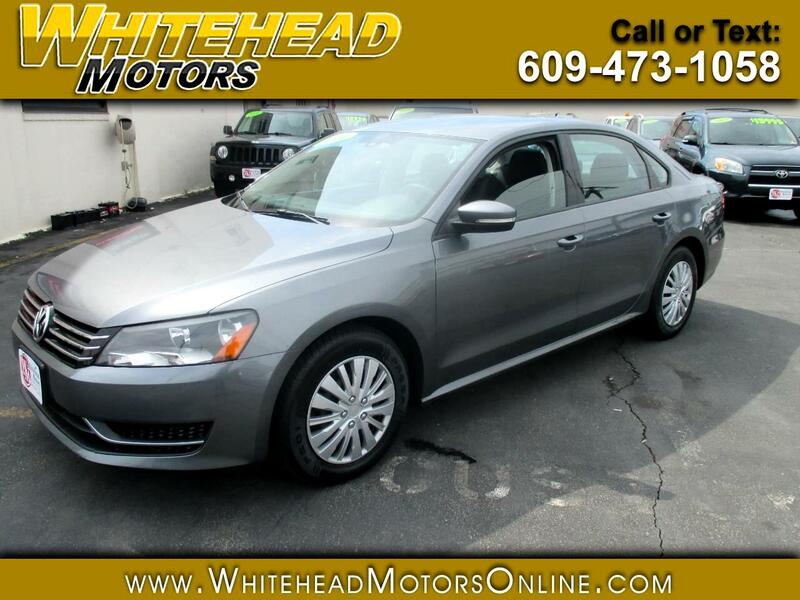 You will love our Accident Free 2014 Volkswagen Passat 2.5L S PZEV Sedan shown in gorgeous Platinum Gray Metallic. Powered by a 2.5 Liter 5 Cylinder that provides an impressive 170hp while tethered to a responsive 6 Speed Automatic transmission with Tiptronic and Sport mode. This Front Wheel Drive will add more fun to your daily drive. The Passat 2.5L S exudes style and sophistication featuring an elegant German-styled body with a bold chrome grille, sporty wheels and a pair of halogen auto on/off headlights. The Passat 2.5L S interior is spacious and loaded with all the features you will ever need. Slide into the supportive premium cloth seats and enjoy air conditioning, full power accessories, a versatile 60/40-split-folding rear seat, and a stellar AM/FM/CD audio system. Safety is a top priority at Volkswagen. Six airbags, an anti-lock braking system, electronic stability control and a tire-pressure monitoring system have made this car a Top Safety Pick winner. It's no surprise that this Passat has become one of the most sought-after family sedans on the market. Don't let this one get away! Print this page and call us Now... We Know You Will Enjoy Your Test Drive Towards Ownership! Get Approved In Minutes at Whitehead Motors. We Make Car Buying Easy.